This edited volume reveals how a permanent war economy has made the United States unable to spread democracy abroad and has worsened domestic problems. Unfortunately, due to sales rights restrictions, we cannot offer Warfare Welfare for sale in your country. 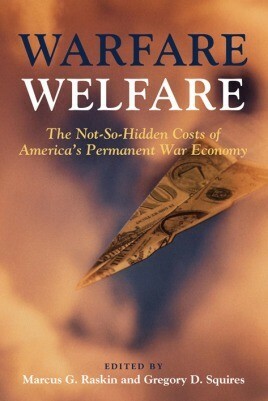 This edited volume reveals how a permanent war economy has made the United States unable to spread democracy abroad and has worsened domestic problems. The editors draw from classical readings in political theory, from primary documents (including key court decisions), and from social science research to analyse such issues as the effect of militarization and combativeness on the everyday lives of Americans. The editors also address the dire connection among banking losses, the housing recession, the welfare/national security state, and the challenge of rebuilding America’s infrastructure. Raskin and Squires ultimately conclude that only by making war an unattractive option and dismantling the warfare system can meaningful progress be made on the current foreign and domestic challenges facing the United States. They also offer steps to replace the warfare system, outlining the ideological and material transformations necessary for peace. Students of political science, sociology, history, and law will find this a thought-provoking, forward-thinking contribution concerning America’s future at home and abroad.